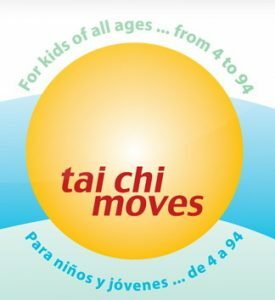 There are 3 different ways you can learn and practice Tai Chi for Kids. You can start with set #1 or #2 depending on the age of the children you are working with. When you are ready for more, try set #3. This set contains a link to the video of the 12 Moves, to the 12 drawings – one of each move, and an MP3 link to download the audio of the 12 moves. You can make an audio CD or play it on your iPod or other device. Do them all or make a playlist of the moves that you enjoy most. 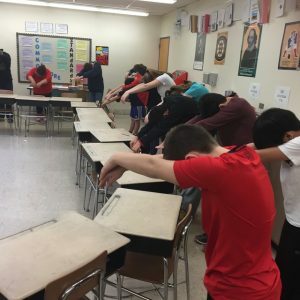 It is the perfect way to start using Tai Chi in the classroom with early elementary kids (up to about 10 or 12 years old) and with children with special needs. It is fun for grown-ups, too. Kids can hold the pictures. It allows them to become involved on many levels. Once you learn the moves, it is best to practice with the audio only. This allows you to close your eyes and focus on the energy in your own body instead of focusing on a screen. We become more aware of the energy flow and the relaxation and focus are stronger when we focus within. Click on the button below to purchase your digital copy. Or, for just a little bit more and free shipping you can order the hard copy, too. Training video to be used with this set is also available. Digital link will be emailed to you in about 24 hours. Perfect for upper elementary school, middle school and high school students, and adults. 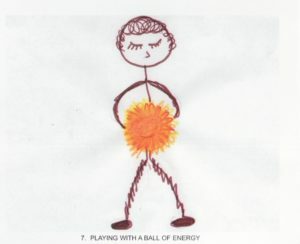 It contains a link to the video of the 12 moves, to the 12 drawings of the moves, and to an MP3 file with the audio of the 12 moves that can be practiced in any order in a short 5 – 10 minute session or all the way through. Once you learn the moves, it is best to practice with the audio only. This allows you to close your eyes and focus on the energy in your own body instead of focusing on a screen. We become more aware of the energy flow and the relaxation and focus are stronger when we focus within. The digital version includes the link to the video of the 12 moves that are appropriate for all ages and abilities, from kids to seniors. 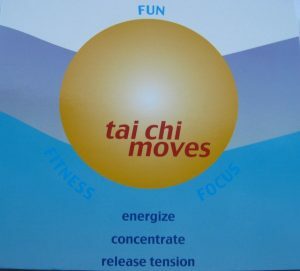 Six of the moves are the same as the above Tai Chi programs, # 1 and 2. Six moves are new so you can go further with Tai Chi! It includes THE FISHERMAN, THE JADE PLATE, DRAWING THE SWORD and others. It can be used at home or school. Once you have practiced with the video there is a link to download the MP3 file to your phone or to make a CD. 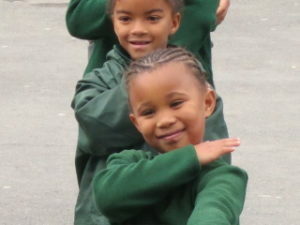 The audio allows you to do Tai Chi wherever you are – outside, before bedtime, at school etc. Choose the tracks you like best. It can be done for just 5-10 minutes, or longer – depending on the time you have available. Everyone loves it. This allows you to close your eyes and focus on the energy in your own body instead of focusing on a screen. We become more aware of the energy flow. The relaxation and focus are stronger when we focus within. Son dos videos: uno en ingles y el otro en español. Es fácil para toda la familia relajarse, enfocar mejor y sentirse bien. Ud. va a recibir los Links para el video y el audio. Una vez que lo aprende con el video, Ud. 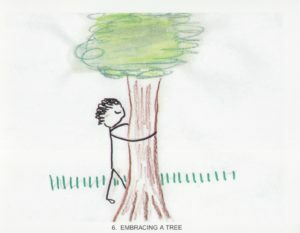 lo puede hacer con el audio donde sea – en el jardín, en el parque, no importa donde. Ud puede hacer 10 minutos para relajarse o 30 minutos cuando tenga mas tiempo. 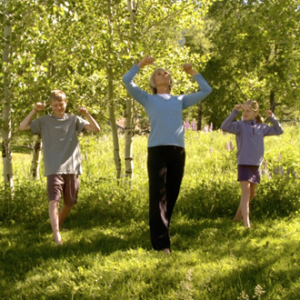 This 24 minute video introduces you to Tai Chi and its benefits for children and adults. The moves are explained so you can understand how each one works on the body. You will get some ideas for implementing the materials with children of all ages. #5 Online training is available via Skype or FaceTime. The cost is $150 plus the Tai Chi set you order. 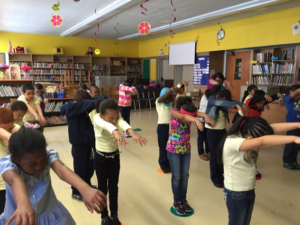 discussion of ways to develop your teaching program for Tai Chi for Kids.